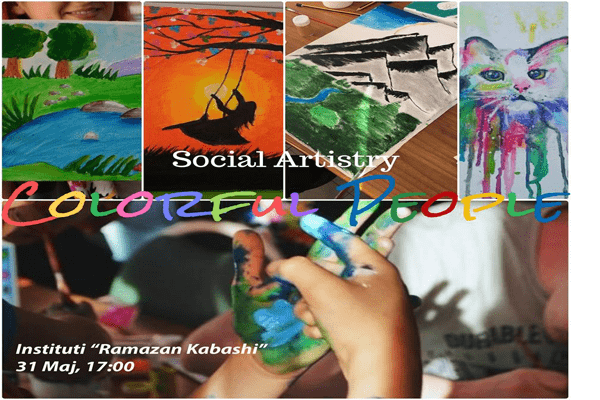 The STEPS Center in cooperation with the "Ramazan Kabashi" Institute organize the exhibition "Colorful People" on the occasion of June 1s - World Children's Day. The exhibition, will be opened May 31, at 5 pm in "Ramazan Kabashi" Institute. Pictures, canvas printes, hand-made crafts maded with much love and passion during the volunteer Social Artistry "Colorful People" program. For anyone who wants to support the talent of these children, you can purchase these works of the exhibition and the money will go to the children of the "Ramazan Kabashi" Institute.